Tyler Roberts | BMSS, LLC. 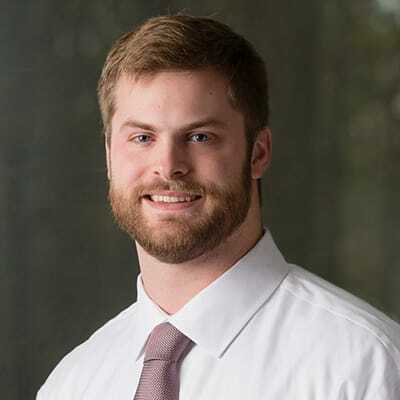 Tyler joined the BMSS family in 2016 as a staff accountant and currently serves as a senior accountant. He graduated in 2015 from Troy University with a Bachelor of Science in Business Administration in Accounting. As a determined and hardworking employee, success is on the horizon for Tyler. To speak to this, while at college, he received an award for All Conference Football Player at Troy University. The power of going the extra mile and eagerly seeking opportunities to learn and discover better methods was impressed upon him through his years playing football. Now, Tyler sees how these principles from his earlier years are affecting and influencing his game plan for today. Tyler is the baby of the family with one older sister, Ashley, and was born and raised in Birmingham by his parents who have loved and inspired him in countless ways. With his spare time, Tyler enjoys hunting, fishing and being outdoors.